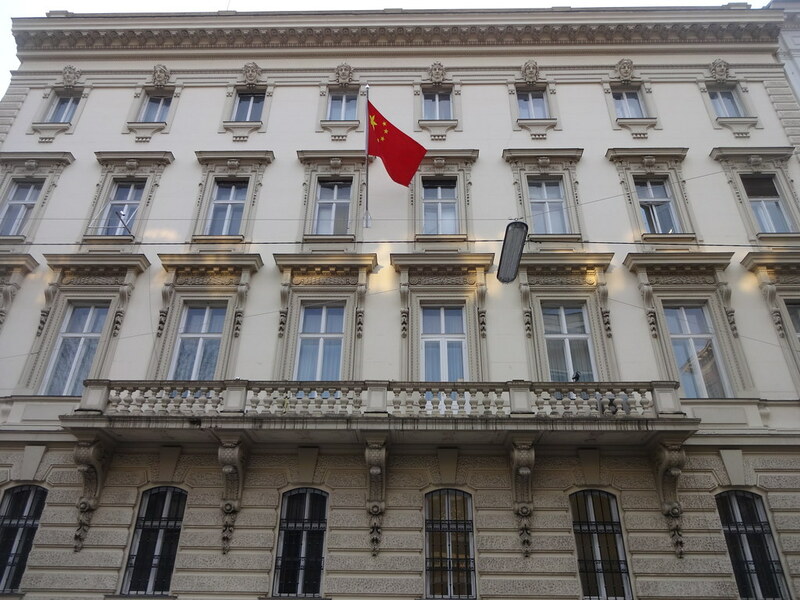 In the midst of the global campaign launched by the Central Media Office of Hizb ut Tahrir, to support the Uyghur Muslims in East Turkistan, a delegation of Hizb ut Tahrir in German-speaking countries went to the Chinese Embassy in Vienna, Austria to deliver a warning letter on Wednesday, 4th Sha’ban 1440 AH corresponding to 10th April 2019 CE. The delegation was led by Shaker Assem, Media Representative of Hizb ut Tahrir in the German-speaking countries, who was greeted by an embassy delegate who received the letter with the request to deliver it to the Chinese government. The delegation indicated to her that Muslims in Xinjiang (East Turkistan) province suffer grievous injustice from the Chinese government, and that we as a global political Islamic party do not accept this. The letter sent a warning to China not to be deluded by the current situation in the Islamic world, and that the Islamic Ummah will rise to remove these agents, the Ruwaibidhat rulers, and establish the Khilafah Rashida (rightly guided Caliphate) on the method of the Prophethood, which will protect Muslims in all parts of the world and will hold accountable all who oppressed them or mistreated them.